Ident-A-Kid *Ident-A-Kid Software License To view a comparison chart between software versions, <a href="https://identakid.com/files/ComparisonChart9-2018.pdf">click here.</a> *All payments must be prepaid. Prepayment is accepted by credit card, sending a purchase order, or when a check is received by Ident-A-Kid. Don't forget to tell us which yearly license you would like. With just a click of the mouse, schools can enjoy the perks of having a centralized, complete and secure visitor management system. 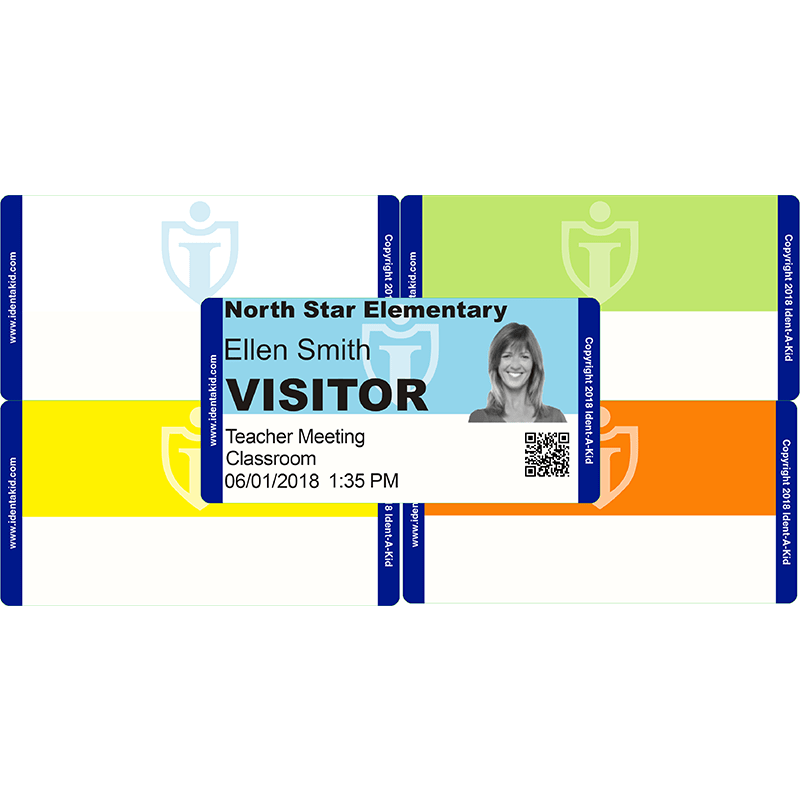 Ident-A-Kid's Visitor Management software allows any school to maintain a simple and neat record of its staff, students, and visitors. Staff members can benefit from a swift check in/out service to make the process more enjoyable and less time consuming. If a student is late, the Ident-A-Kid VM software can easily store the information. So, if any future problems come along with a student's tardiness, the school will have an accurate record of the occurrence. If keeping a weekly documentation of visitors is becoming too tedious, Ident-A-Kid VM can simply be set to print a weekly report, with check in/out times, to eliminate stress. Also, with the purchase of Ident-A-Kid's VM software you can enjoy toll free tech support and free upgrades.